Home » Science Notes Posts » Biochemistry » Food Chemistry » Why Is Wasabi Green? Real wasabi (Wasabia japonica) and horseradish (Armoracia rusticana) both belong to the Bassicaceae family. Other members of the plant family include radish, broccoli, cauliflower, mustard, and cabbage. Both wasabi and horseradish pack a spicy heat, but real wasabi gets its green color from chlorophyll. The stems, leaves, and rhizomes of the plant (all photosynthetic) are grated to prepare wasabi. Horseradish, on the other hand, is off-white in color because it’s made from the ground root of the plant. Wasabi made from horseradish can be green from chlorophyll if it’s colored with spinach. Horseradish wasabi colored with food coloring usually gets its tint from FD&C yellow 5 and FD&C blue 1. The source of the green color isn’t the only difference between genuine wasabi and “American” wasabi. The two products taste different, too. Both wasabi and horseradish are hot, but wasabi is milder, with a complex vegetable taste and a subtle sweetness. The real deal is freshly grated, with no added ingredients. Horseradish wasabi is more of a paste, with a gritty texture. When wasabi or horseradish is grated, its cells release myrosinase. Myrosinase is an enzyme that hydrolyzes glucosinolates to yield spicy-hot isothiocyanates and sweet glucose. Wasabi and horseradish contain different types and quantities of isothiocyanates. The most abundant isothiocyanate in both plants is allyl isothiocyanate, but wasabi contains nearly 10% more isothiocyanate than horseradish. While horseradish can offer the sweetness of wasabi, the flavor is often altered by adding vinegar. The acetic acid in vinegar stops the myrosinase reaction, producing a milder, slightly tangy product. Why Don’t We Eat Real Wasabi? If you live Japan, New Zealand, or the Pacific Coast of North America, you may be able to purchase fresh wasabi “root”. Expect to pay a pretty penny for the luxury (around $100 per pound). Wasabi is expensive because it only grows in mountain streambeds of Japan or places with a similar climate. To prepare wasabi, scrub the rhizome and peel the portion to be used. Grate wasabi immediately before serving it, as it loses potency within 15 minutes. 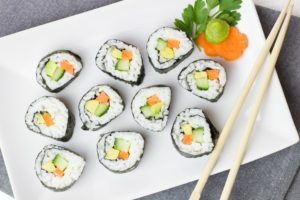 Some high end restaurants serve genuine wasabi, but most of the time it doesn’t make sense for them to bother with it, both because of its exorbitant price tag and because it can’t be prepared in advance. Horseradish holds its heat over time because of the added vinegar. Wasabi can be stabilized by vinegar or lemon juice, too, but purists don’t like to add the acids and change the wasabi flavor. If you’ve never tasted real wasabi, don’t lose hope. Freeze-dried wasabi is becoming more widely available. Freeze drying stops the myrosinase reaction in its tracks, preserving the heat until water is added. 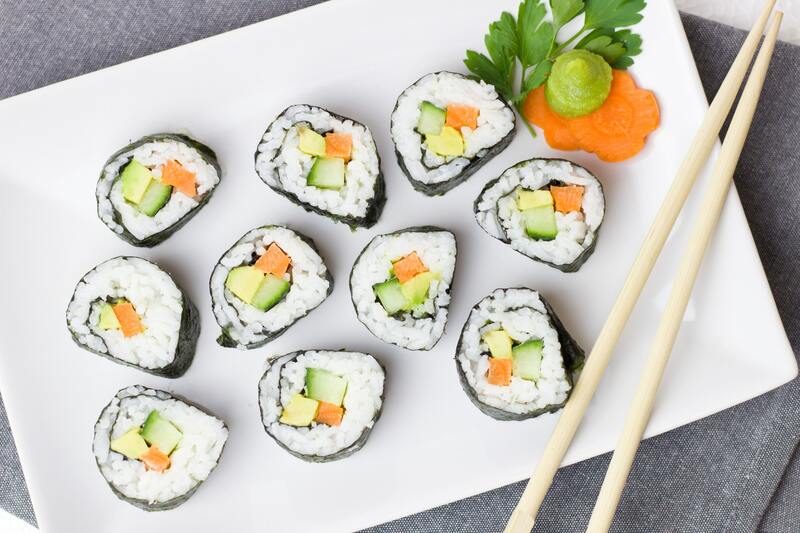 Companies selling real wasabi include Pacific Coast Wasabi in Vancouver, British Columbia; Pacific Farms in Florence, Oregon; Real Wasabi in Bluffton, South Carolina; and Coppersfolly in Canterbury New Zealand. “Germination and growth of wasabi (Wasabia japonica (Miq) Matsumara)“. p. 161. New Zealand Journal of Crop and Horticultural Science/Experimental Agriculture 1990, Vol 18. “Wasabi: In condiments, horseradish stands in for the real thing | Science & Technology“. Chemical & Engineering News. 22 March 2010. p. 48.